Human decisions play an essential role in Operations and Supply Chain Management. However, these decisions are rarely integrated in simulation models of Production and Logistic Systems. One main reason for this fact is the strong dispersion of human decisions among a population, as well as the variability of a single individual’s decision over time. This work presents an experimental study of a human decision consisting in the dynamic selection of suppliers in a well-controlled laboratory environment. The analysis of the results obtained on a large population shows that individual decision behaviors can be grouped into representative clusters typifying different decision behaviors. 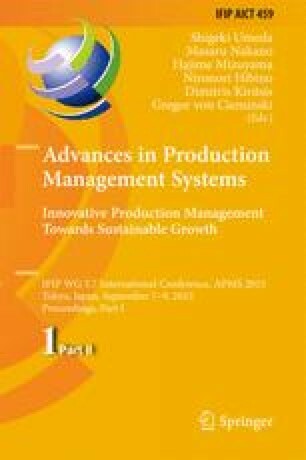 The results obtained from this study opens up the prospect to significantly reduce the number of decision models required to simulate Production and Logistic Systems including human decisions and could also allow categorizing human decision behavior based on a set of known criteria.